Is Hair Regrowth Possible After Balding? Get any group of middle-aged men and women together, and it won't take long for the issue of balding and hair regrowth to come up. Researchers have found that on average, people lose anywhere from 100 to 150 hairs per day. Perfectly normal! Yet when it starts to exceed this amount, you’ve got a hair thinning problem that could result from a number of factors. Hair loss doesn't usually come from some kind of disease or a poor diet. Instead, balding is a genetic factor that rears its ugly head (even if your chrome dome's cute - and many are!) during the process of aging. Is your father bald? If so, you will probably lose hair also. Some other common hair loss causes include dietary changes, stress, menopause, hormonal changes during pregnancy, or menstruation. Some medications have side effects that can cause hair loss, including chemotherapy for cancer. Yet in this case, a patient can grow back their hair about 6-12 months after treatment. What Can You Try to Grow Your Hair Back? Multiple treatment options are out there. Many have Federal Drug Administration approval. The best options are backed by science. Science says the most common cause of hair loss is an excess of testosterone converting into dihydrotestosterone, or DHT, which then causes hair follicles to shrink. Therefore, you will be able to grow back hair simply by lowering the testosterone levels within your body biologically, resulting in a decreased amount of DHT conversion. Minoxidil works well at maintaining whatever amount of hair you have on your head’s crown but isn’t as effective for the front. You can obtain this medication OTC without a prescription, but watch out for several potential side effects. The medication Finasteride is pretty effective, yet must be prescribed strictly. Pregnant women cannot use these tablets because of the risk to their fetuses. Men using it report observing thick regrowth following 6-12 months using it incessantly. 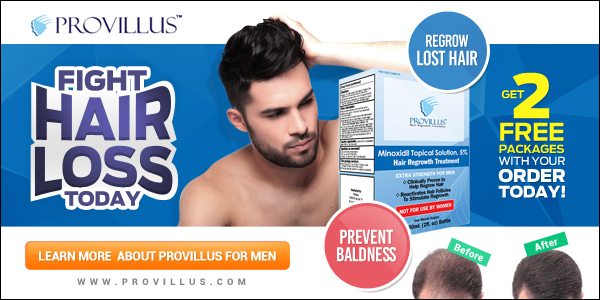 By using it consistently, this medication helps men to grow new hair. Some users report experiencing side effects that stopped when they discontinued use. Lastly, the FDA approved Dutasteride is approved for treating Benign Prostatic Hyperplasia, or BPH. This helps prevent hair loss and hinders the production of a natural element within hair follicles. An alternative medication referred to as Bimatropost shows successful results, especially for regrowth of eyelashes. Yet, the FDA hasn't approved it to treat hair loss - only for cosmetic use in growing eyelashes. Researchers are working hard to see how they can make this medication work well for men and women. Finally, another hair regrowth option is getting a transplant. This is available if the previous medications won’t work or the side effects are too intense. Even though it is expensive, this is an effective method that can also save you time. The process involves removing hair follicles that aren’t sensitive to DHT, then planting them within a DHT high-sensitivity area. This method is permanent, which is good. But as with any surgical procedure, infection is a risk. There are a plethora of solutions for you to regrow your hair, but not all of them are a good match for everyone. Therefore, you should seek out guidance from a professional to ensure effective hair regrowth treatment.